Muriatic acid and swimming pool chemistry. No problems lowering levels with inground pool maintenance, salt water pool maintenance and above ground pools. 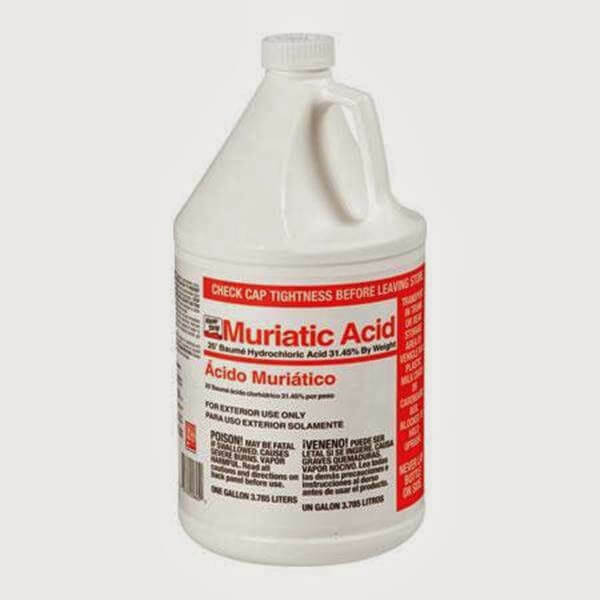 Muriatic acid is one of the best products to lower both your pH and total alkalinity. It is one one of the most corrosive forms of acid and its use goes from swimming pool care to metal and brick cleaning. Great care must be taken to ensure you're safe around this kind of acid. Some have said that by leaving the pH alone, your pool's alkalinity will decrease on its own. This is false. The fill water in Albany, OR where I was the pool operator and had taken care of dozens of pools, had a pH of 8.2 and an alkalinity of 30 ppm. Only adding sodium bicarbonate to raise the alkalinity, or muriatic acid to lower it, would have any affect on the alkalinity. Rain did as well, but that proves the statement below. We live in a physical world. Newton's first law states that "every object will remain at rest or in uniform motion in a straight line unless compelled to change its state by the action of an external force." This is true in physics and true with pool water chemistry. 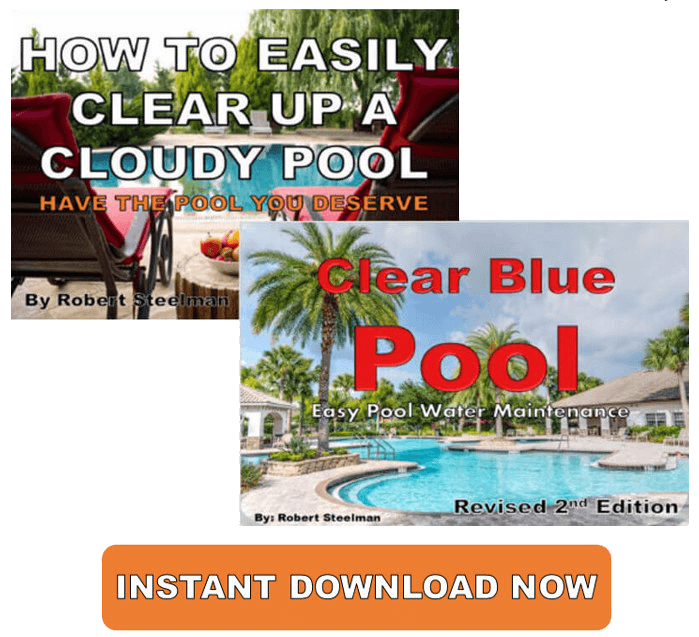 Another falsehood is this quote, "Achieving balanced water chemistry will be safer and easier with products formulated especially for use in pools." Again, this is wrong and I've made several detailed videos on YouTube about this very subject. 20 Mule Team Borax will effectively increase your pH, while grocery store baking soda is absolutely ideal for raising the total alkalinity. Your can use certain products from your grocery store with great confidence. Never fall for the "professional strength product" or "especially for pools" routine. It's called marketing for a reason. Are Professional Strength Chemicals Worth It? Liquid acid is easy to apply and the most used type of acid to reduce both the pH and total alkalinity. Dry acid is also easy to use and apply, along with easier storage and handling due to it being in granular form. 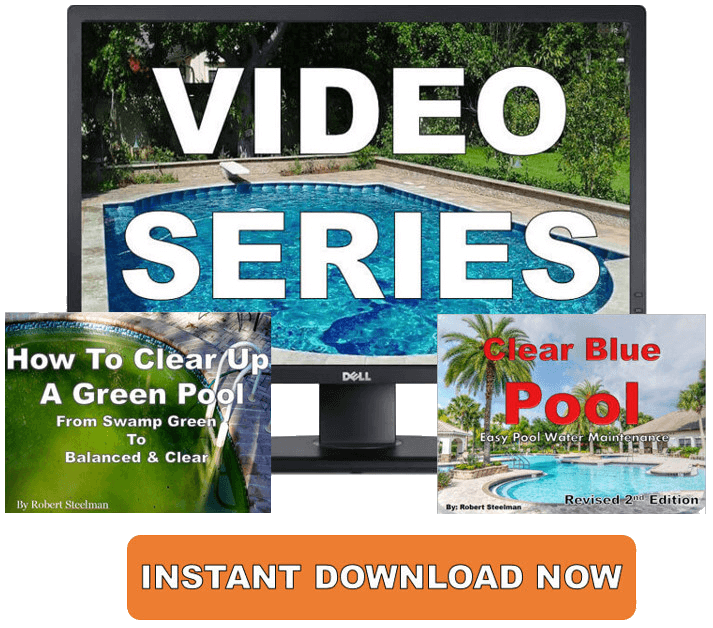 The two main uses for hydrochloric acid are to lower your pool pH and pool alkalinity levels. High maintained pH levels and calcium levels can lead to the calcium hardness falling out of solution. This causes hard rings at the water line and calcified heaters, chlorine generators, and solar panels. pH is unstable so it must have a buffer to help it stay in range. Keeping the alkalinity in range helps prevent pH from changing too fast. This is called "pH bounce". Temporarily high pH does not "cause" or "lead to" high calcium hardness as some have said. pH and calcium hardness are two separate entities, although, pH can affect calcium hardness in ways already stated. Once again, be aware that muriatic acid is dangerous so take the proper precautions when making any adjustments to your pool and handle it with care.